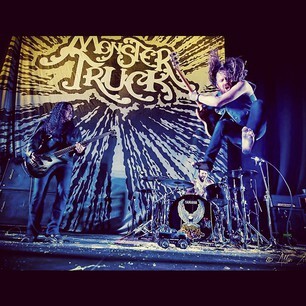 Being a fairly new band together since 2009, Monster Truck are already making a name for themselves. They are are rock band that hails from Hamilton, Ontario. 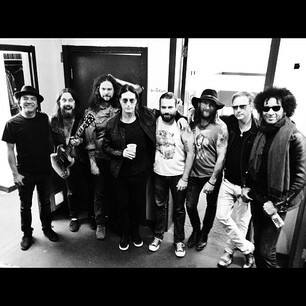 Winners of 2013 Juno Awards for Breakthrough Group Of The Year, they’ve recently toured with Alice In Chains and touring with Slash this for a European tour this November. They are definitely a band to watch out for! I recently had the chance to chat with Guitarist Jeremy Widerman about the history of the band and living the rock-star life. Debra Heather (DH): Let’s start with some history of the band, How you guys all meet and decide to form Monster Truck? Jeremy Widerman (JW): We all just wanted to be in a band that wasn’t too serious and had no affiliation to the music industry.. Kind of a way to just get drunk and have fun and play the kind of music that we wanted to hear. Obviously it turned into the complete opposite of that which is pretty funny looking back. DH: Can you tell me a bit about your music making process, what is a typical day in the studio like for Monster Truck? JW: There’s not really any such thing as a “typical” day and we haven’t really pegged down a process yet. As far as writing the songs me and Jon do the fundamental ideas usually, but the songs really come to life as we work through them at the rehearsal space with the entire band. DH: What is the most difficult challenge the band has had to overcome, any advice for aspiring young musicians with hopes of living a rock star life? JW: Finding a way to bridge the gap from having it being just a fun side project to taking it on full time as a job and still finding ways to be inspired and creative which we are only really attempting now. We are still passionate about what we do, but there are increasing times that have nothing to do with playing/making music that are definitely job territory. As for the aspiring musicians, if their hopes are to live the cliche definition of the rock star life, I would tell them to do something else. I would compel them to. Unless their vision of a rock star life is playing music, they love with like minded individuals and travelling uncomfortably. JW: Grand Funk Railroad, Led Zeppelin, Rage against the Machine. DH: You guys were just here for Heavy Montreal and have another festival just around the corner, Louder Than Life festival. I know both are unique in there own ways, but what is your favorite thing about playing at festivals in comparison to perhaps playing at a small venue? JW: Being outside on a nice day, which is pretty much a crap shoot. Other than that I’ll take the venue show over the festival any day.